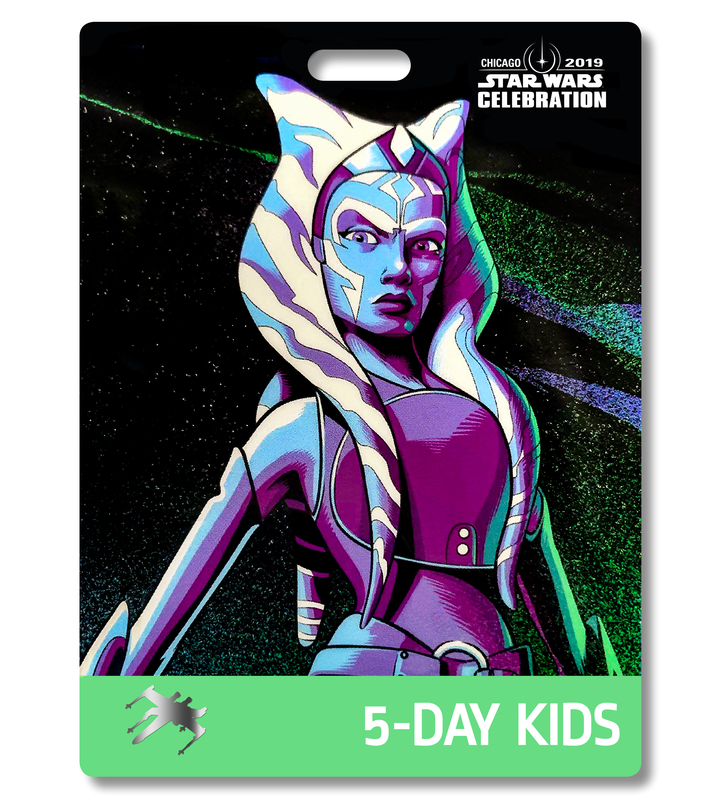 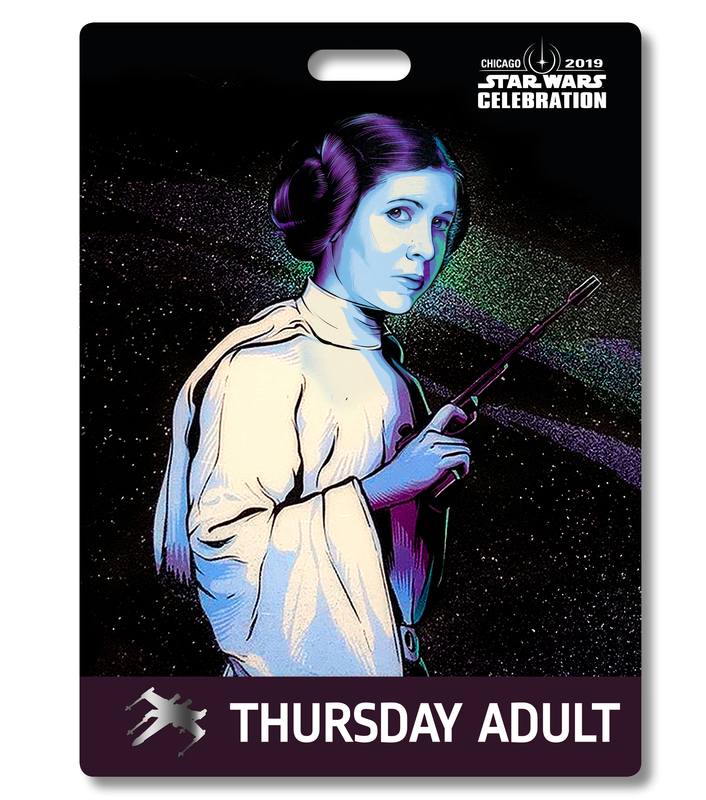 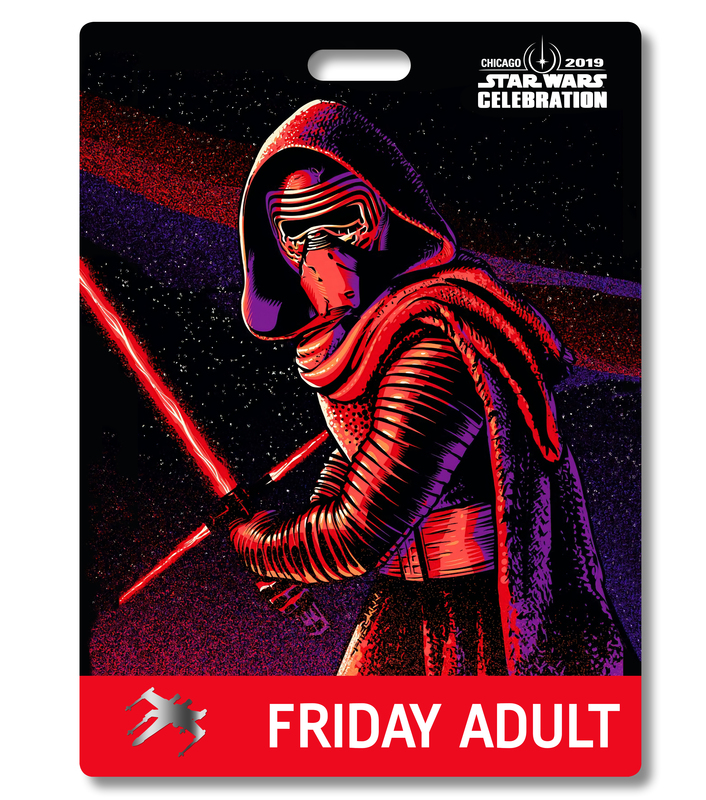 With badges for Star Wars Celebration 2019 in Chicago are now arriving in the mail and using what the excited people have been posting online, I’ve recreated them as best I can, much the same as what I did for the Star Wars Celebration 2017 Badges. 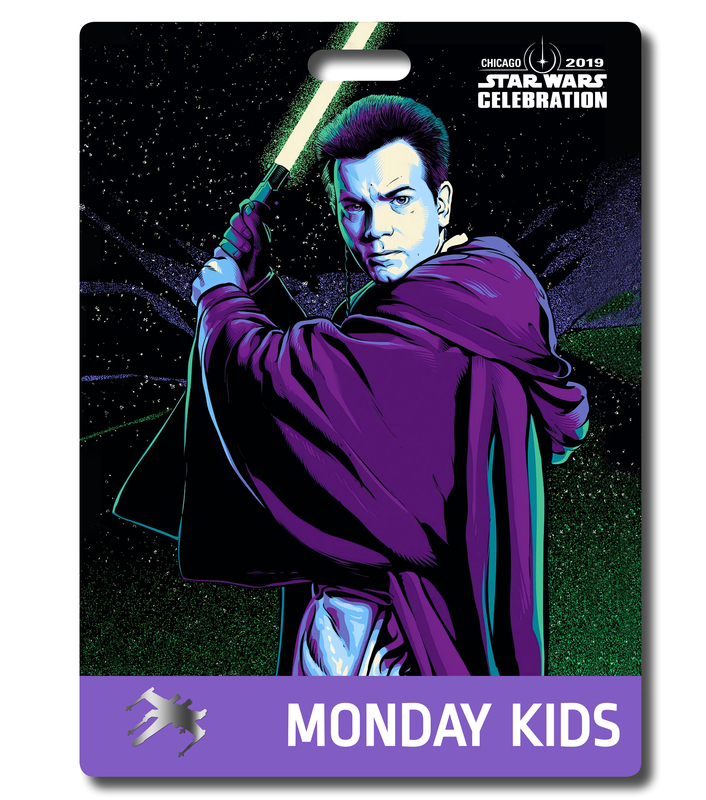 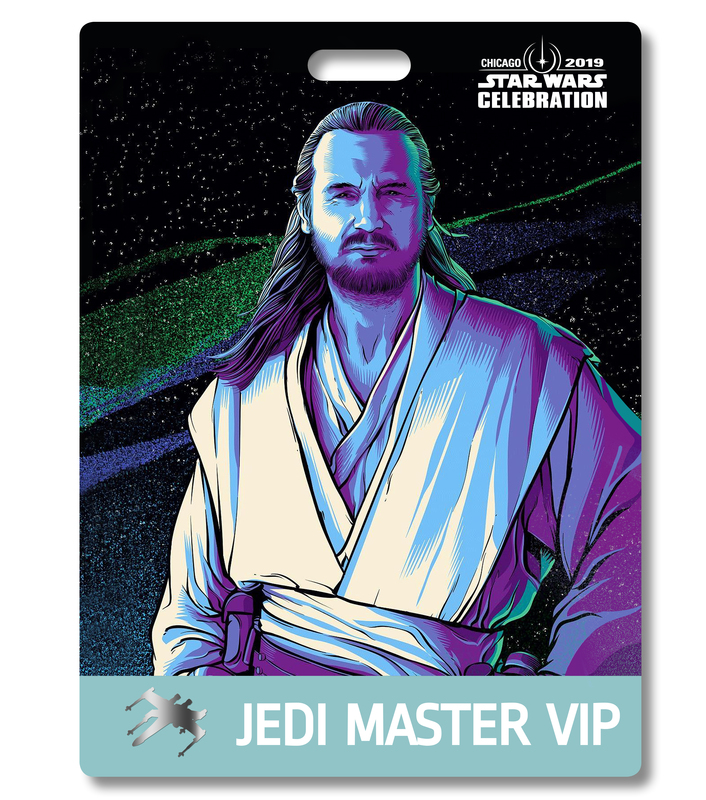 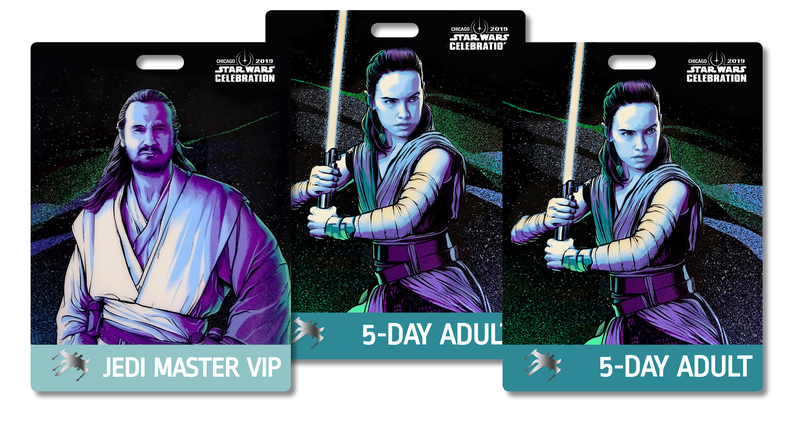 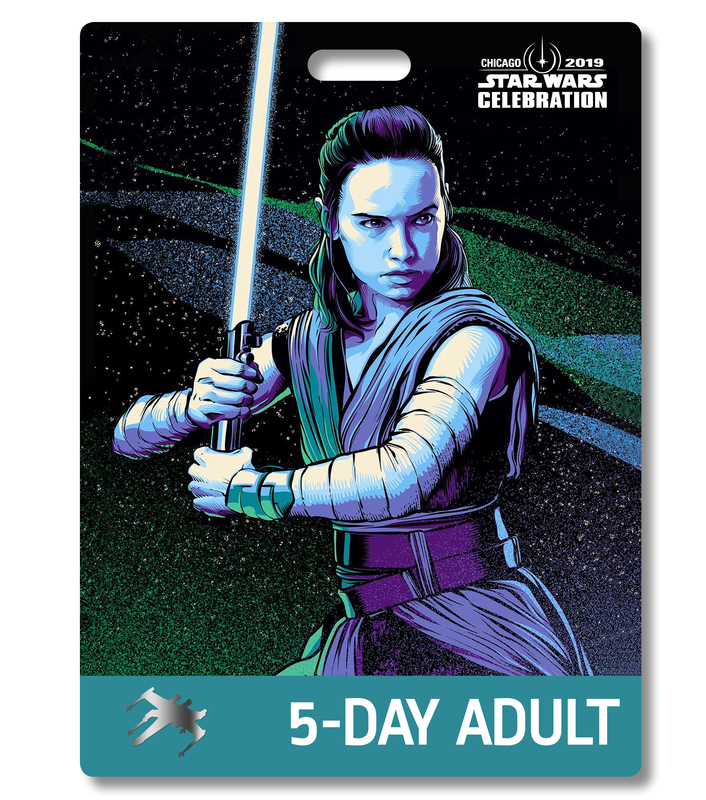 Check out these full Hi-Res versions off the awesome artwork by Cristiano Siqueira used on these two Celebration badges, Rey with a lightsaber on the 5-Day Adult badge and Qui-Gon Jinn on the Jedi Master VIP badge. 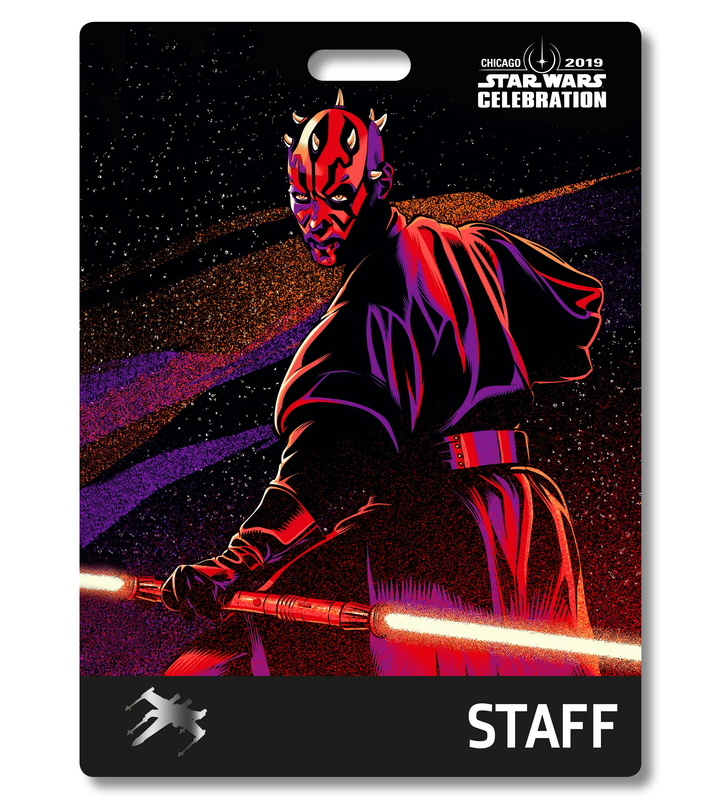 Fingers crossed StarWars.com will be posting a story in the very near future containing all the images of all the available badges for us to see. 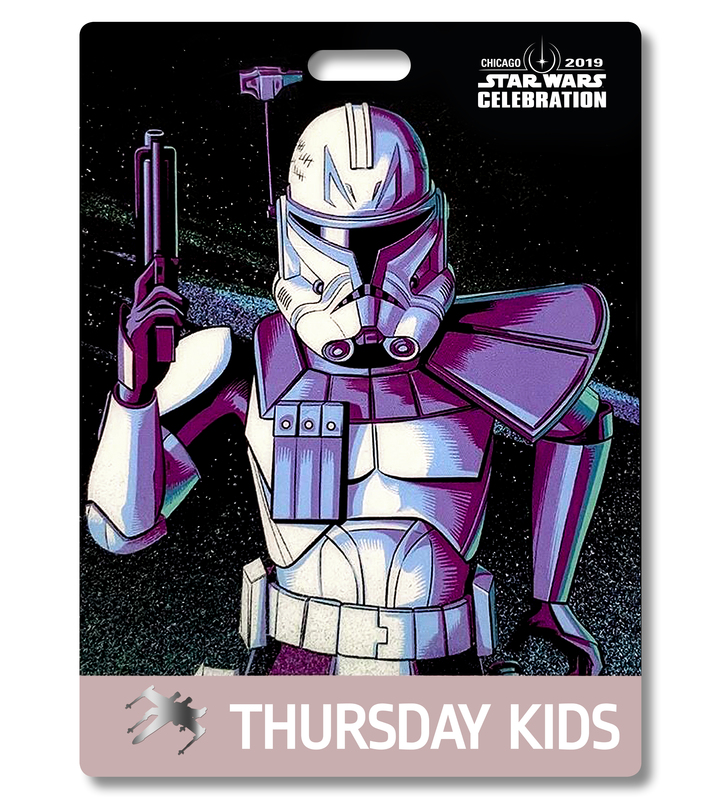 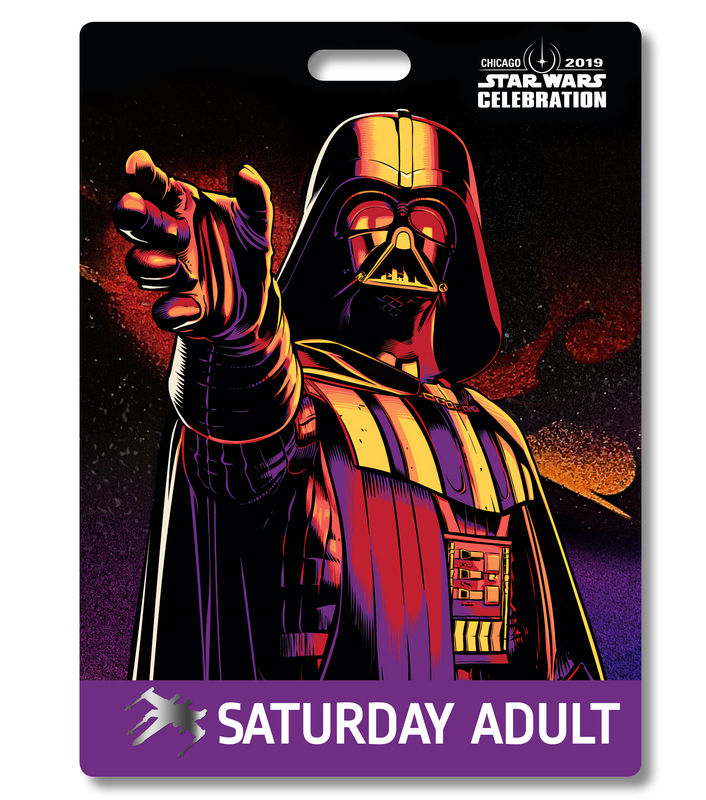 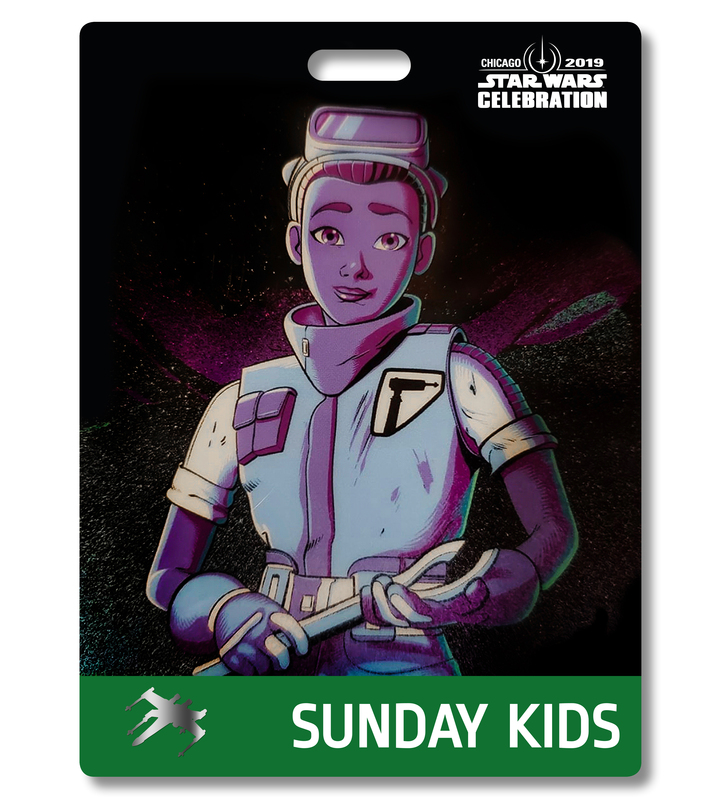 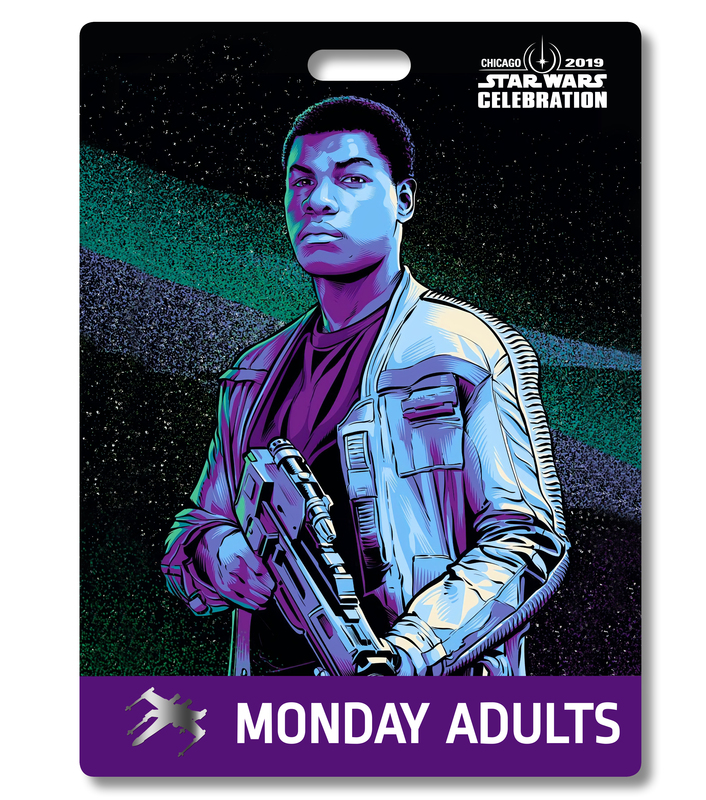 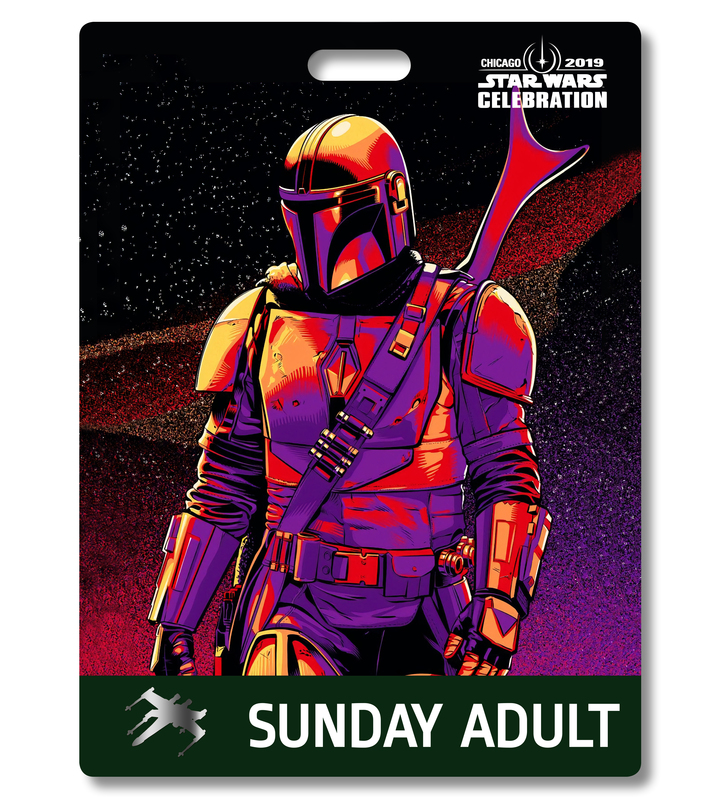 Not the best quality, but Star Wars Celebration 2019 Chicago Sunday Adult Mandalorian Badge Pass Art has been posted on Facebook. 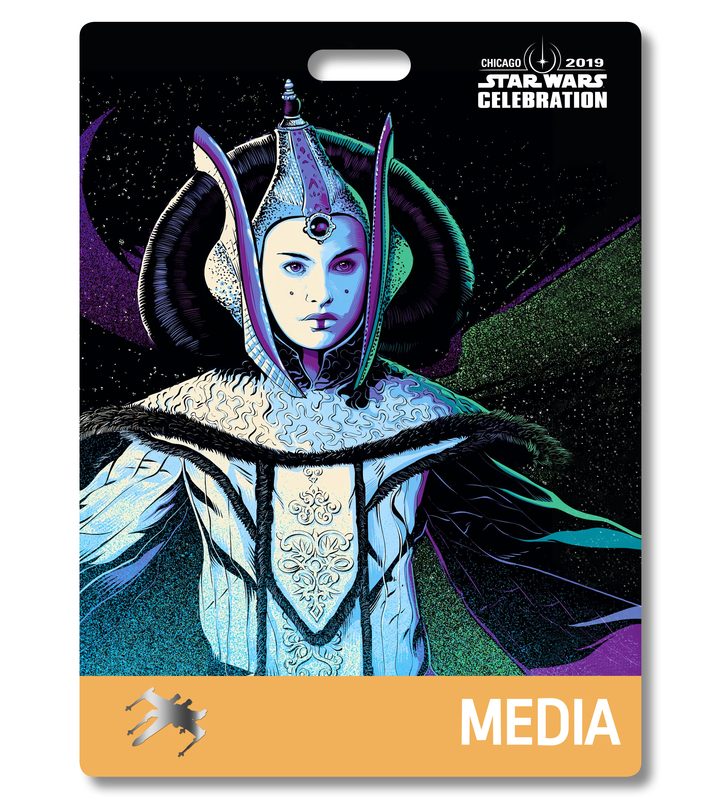 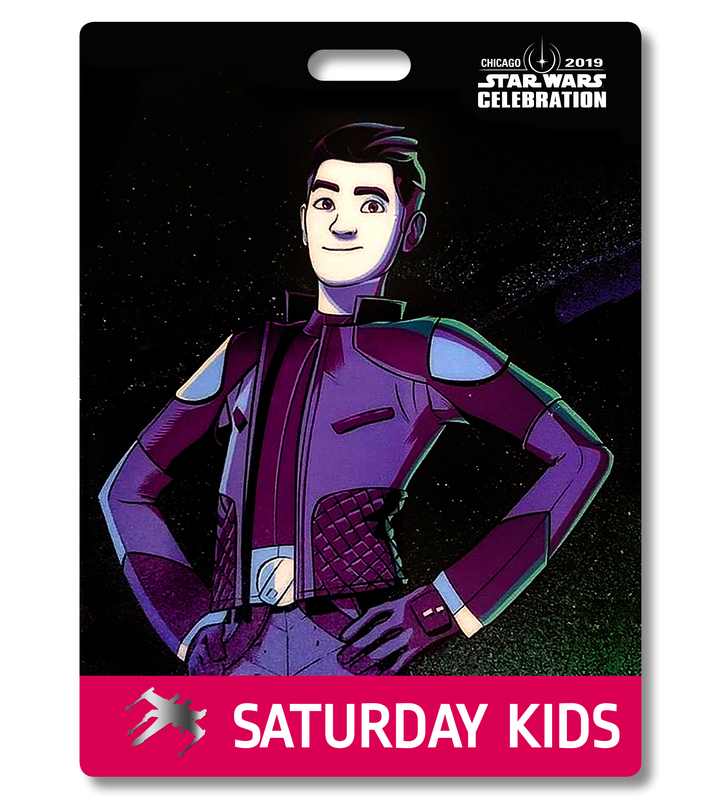 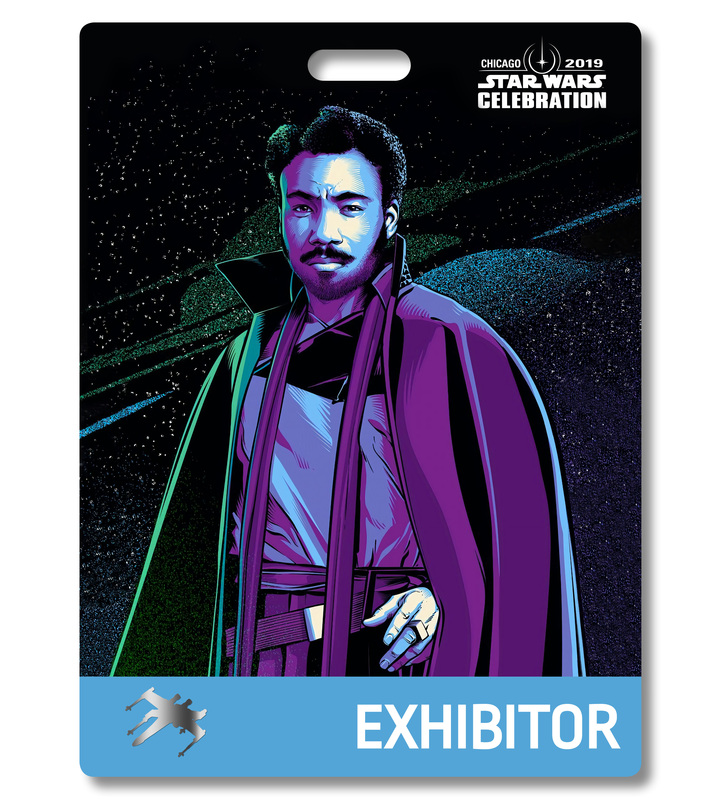 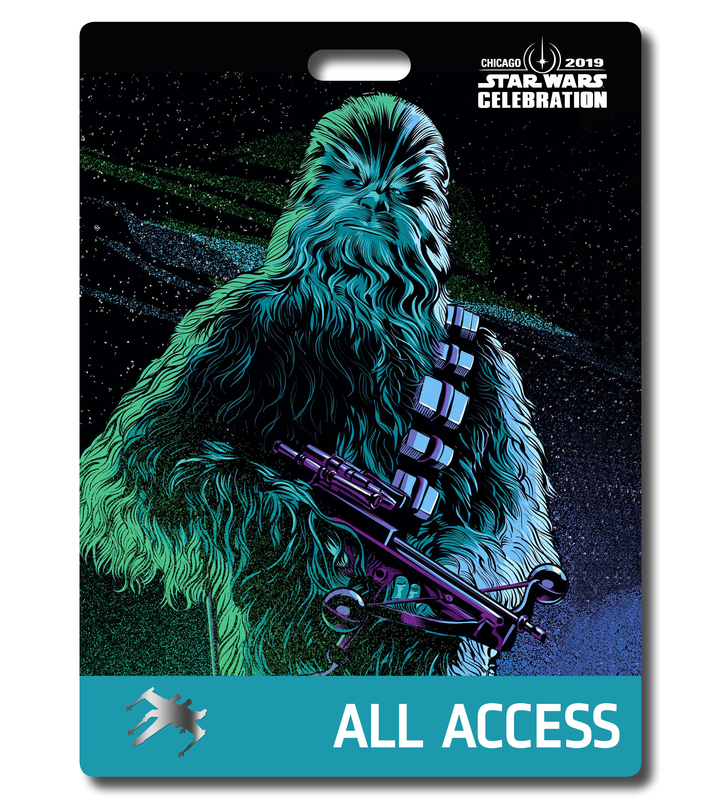 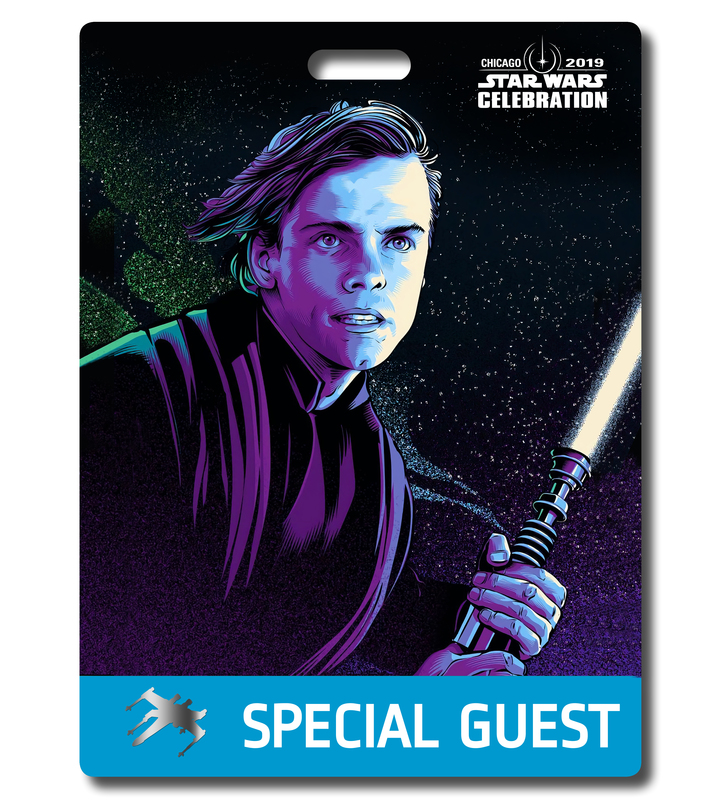 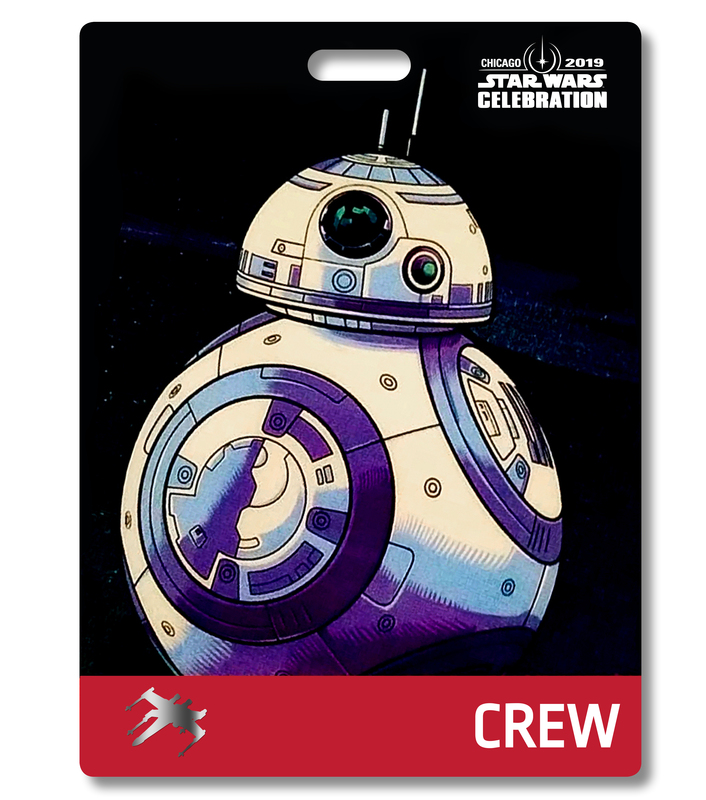 Thanks to Star Wars Celebration Badges on Facebook for the updated list and his massive help in sourcing the badge art.